Bruxism is a common condition which affects both adults and children. Also known as teeth grinding or clenching, bruxism is an involuntary condition linked to a variety of other concerns, including stress and misaligned teeth. When left untreated, grinding or clenching your teeth can cause damage to your enamel, as well as the jaw and surrounding structures. In severe cases, it can lead to fractures or tooth loss. Bruxism often occurs while sleeping and can go unnoticed for long periods of time. If your dentist identifies signs of grinding or clenching, they can recommend a treatment plan to alleviate your symptoms and protect your smile from further damage. Your dentist may also notice wearing or damage to your teeth due to excessive pressure, such as cracks, chips, loose teeth, or flattening of the chewing surfaces. If you have a sleeping partner, they may hear clicking, grinding, gnashing, or other sounds which are indicative of bruxism. Bruxism is especially common in young children and usually resolves before adulthood. Of course, adults can develop the condition as well. In some cases, the effects of bruxism fade as soon as the condition is treated. By lessening pressure on your teeth, for example, you can reduce or eliminate issues such as sensitivity and pain. However, damage to your teeth can have long-term, or even permanent, effects and require additional dental treatments in the future. For some patients, reducing their stress levels can provide sufficient relief from grinding and clenching. Your dentist can examine your oral health and determine the optimal treatment plan for you. For some patients, reducing their stress levels can provide sufficient relief from grinding and clenching. However, in many cases, treatment is required. There are a few ways to protect your teeth from the forces of grinding and clenching. Your dentist may recommend a custom night guard to wear while you sleep. This treatment is especially helpful if your bruxism symptoms mainly occur at night. In addition, splinting can redistribute the force of your bite by connecting multiple teeth together. Your dentist can place a temporary or permanent splint depending on your needs. 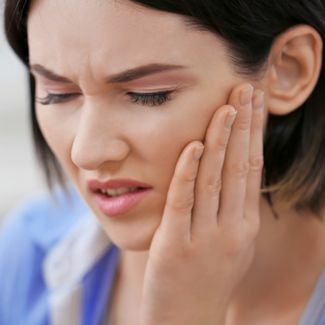 When your teeth do not fit together properly, you unconsciously adjust your bite throughout the day in an attempt to find a comfortable position. This process can cause you to grind or clench. If your symptoms are due to misalignment, orthodontic treatment or another form of bite adjustment can help reduce or eliminate bruxism. If your bruxism does not respond to other treatments, your dentist may recommend you take a muscle relaxant before bed. Additionally, if your clenching or grinding is related to anxiety, your doctor may prescribe a medication to relieve stress. Bruxism is also a side effect of certain medications. Switching to a different prescription may alleviate your issues. There is some evidence to suggest that injection of BOTOX, a form of botulinum toxin, can help patients with severe bruxism that does not respond to other treatments. 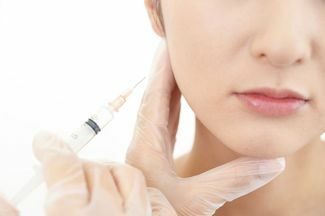 Since BOTOX limits muscle movement, it may be able to help reduce your symptoms. BOTOX injections are a temporary solution for bruxism and will require ongoing treatment. Contact a Doctor Near You.